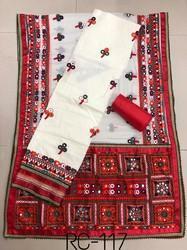 Leading Manufacturer of cotton silk saree, designer suit, bandhani saree and cotton dress material from Surat. 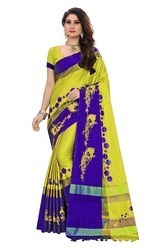 BHAGALPURI COTTON SLUB SAREE FABRIC:- BHAGALPURI COTTON SLUB SAREE WITH ATTACHED BLOUSE,. 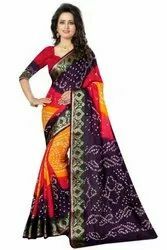 Saree Length 5.50 mts. And Blouse legnth 0.80 cm.